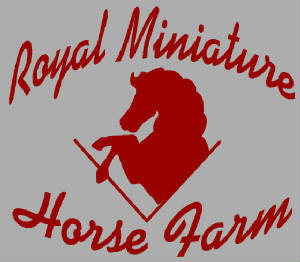 We are a small breeder of "AMHR" miniature horses. 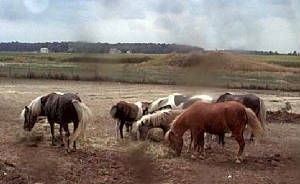 With a herd of about 10 to 12 mares and 2 or 3 stallions, plus the current foals. We breed for conformation and personality. With a couple new herd sires, we are planning to breed for more color. We have changed our breeding program and are gearing towards pinto, and soon appaloosa foals. With our new herdsires and their pedigrees, we should have well bred yet colorful foals. Foals are shown from yearling till either sold or kept for later breeding. Most of our brood mares are proven showring competitors. Our senior stallions have also proven themselves in the showring. Please take a look around our site and if you see anything of interest, feel free to drop us a line. 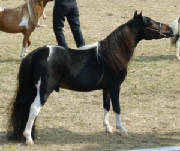 We are also manufacturer of some nylon miniature horse equipment. When time allows, items are made and then posted on the forsale page. We no longer take orders ( sorry). Items are available as they are manufactured.